Sheikh Muhammad Abdullah Nasr, a scholar of Islamic law and graduate of Egypt’s Al Azhar University—regularly touted as the world’s most prestigious Islamic university—recently exposed his alma mater in a televised interview. It can’t [condemn the Islamic State as un-Islamic]. The Islamic State is a byproduct of Al Azhar’s programs. So can Al Azhar denounce itself as un-Islamic? Al Azhar says there must be a caliphate and that it is an obligation for the Muslim world [to establish it]. Al Azhar teaches the law of apostasy and killing the apostate. Al Azhar is hostile towards religious minorities, and teaches things like not building churches, etc. 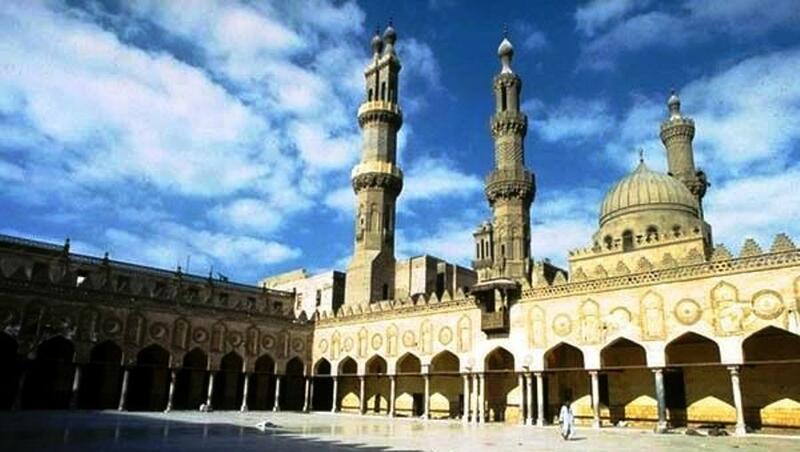 Al Azhar upholds the institution of jizya [extracting tribute from religious minorities]. Al Azhar teaches stoning people. So can Al Azhar denounce itself as un-Islamic? Ibn Kathir is one of Sunni Islam’s most renowned scholars; his Beginning and End is a magisterial history of Islam and a staple at Al Azhar. It is also full of Muslims, beginning with Muhammad, committing the sorts of atrocities that the Islamic State and other Islamic organizations and persons commit. Is it possible at this sensitive time — when murderous terrorists rest on texts and understandings of takfir [accusing Muslims of apostasy], murder, slaughter, and beheading — that Al Azhar magazine is offering free of charge a book whose latter half and every page — indeed every few lines — ends with “whoever disbelieves [non-Muslims] strike off his head”? In short, the phenomenon known as “ISIS” is not a temporal aberration within Islam but rather a byproduct of what is considered normative thinking for Al Azhar—the Islamic world’s most authoritative university.